And now we can start talking about all the Christmas knitting. The story of this hat started almost a year ago, when my sister spotted the pattern somewhere and about died of it. Then of course she sent it to me, so I could about die of it, too. Being a doting aunt, I noted that while Nephew the Elder had received a new hat for that Christmas, Younger had not, and that he would probably need one by the next Christmas. 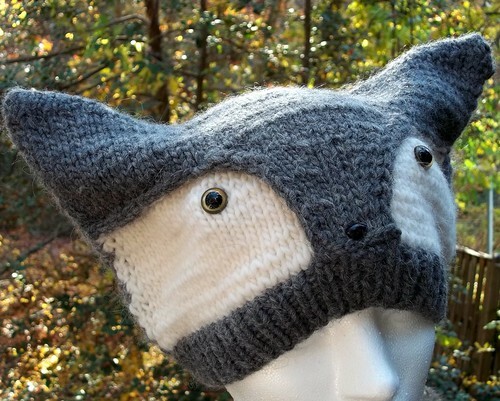 It is a complicated pattern; it uses intarsia in the round, shadow-wrapped short rows to make the ears, an uncommon cast-on, and some origami-like folding and picking up of stitches to make the turn over the top of the head and down to the nose. I spent a lot of time on YouTube looking at tutorials. I knit it mostly while I was furloughed in October, so I had plenty of time to look up the techniques. 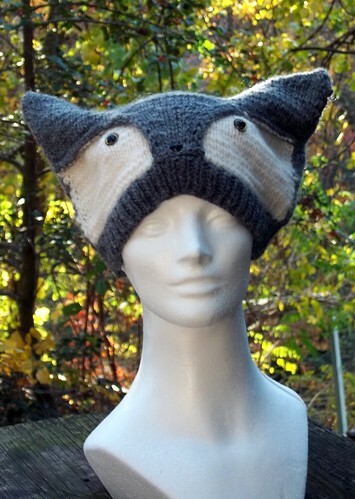 My sister asked me to make a Wolfy hat, as the boy's coat is orange and she didn't want a fox-red hat to clash. She also asked me to use locking toy eyes instead of button eyes. The nose is likewise a toy animal nose. Then, three days before Christmas, the boy announced, all unprompted, that he wanted to be a fox in his church's Christmas pageant. It is the custom of the congregation for all the children to participate in the pageant if they want, with those not playing showpiece parts being shepherds or sheep, or various other animals, Friendly Beasts-style. The pageant was scheduled for Christmas Eve, and we were scheduled to exchange gifts on Christmas Day. My sister emailed: would I be willing to give the boy his hat a couple of days early so he could wear it in the pageant? Of course I would. Even doting aunties only get so many chances to be on the spot with exactly the right gift.